Sold & shipped byBuilderDepot, Inc. Create a stunning kitchen with Design House Brookings Kitchen Cabinets. We offer you a less expensive option, with quality and style comparable to competitors. 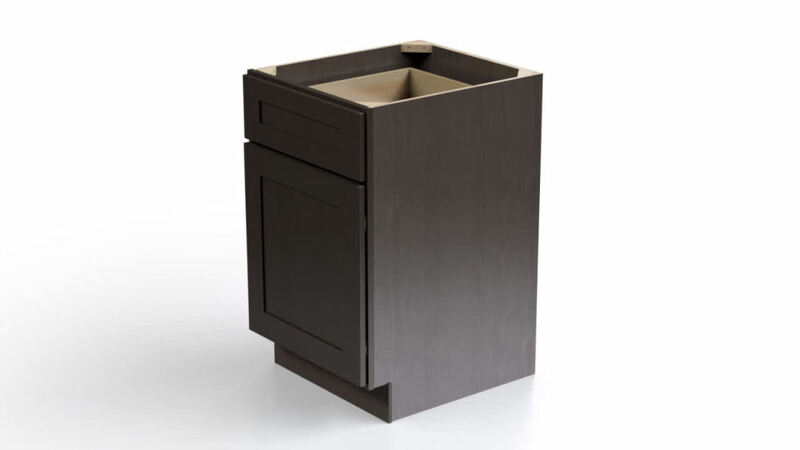 All cabinets come equipped with 6-way adjustable soft-close hinges, with the availability of optional slow-close drawer glides, so your doors and drawers can remain as quiet as possible. Design House kitchen cabinets are CARB P2 compliant and have a 1 year unlimited warranty. Our RTA (ready to assemble) cabinets use a pre-installed snap together clip system, making the installation process fast and easy. Cabinets and cabinet accessories are sold separately for your ability to customize. Style of drawers/doors: Shaker, Number of drawers: 0, Number of doors: 2, Number of shelves: 0.